SONANCE Rocks, Mariners and Extreme speakers are ideal for smaller areas wanting high quality audio, but which don’t require a distributed audio system. Rocks – amazing performance in a ‘rock’ form factor. The speakers blend in with garden beds to provide an invisible source of music. Mariners – perfect for courtyards and patios where the speakers will be attached to a structure. 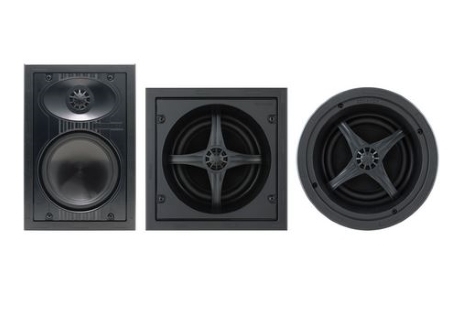 Extreme – in-wall and in-ceiling speakers perfect for outdoor rooms, under eaves and for demanding marine applications. Why Choose SONANCE Rocks, Mariners and Extreme? Powerful small area speakers where full and balanced coverage is not needed. Available in various sizes and performance levels. 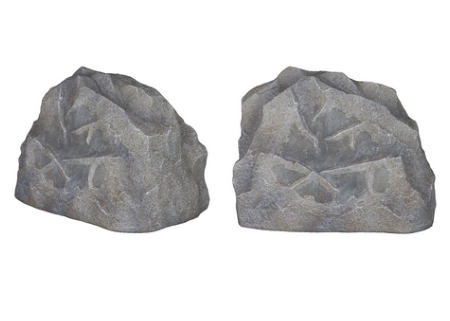 Rock speakers are designed to look just like real Rocks and blend in with their surroundings, whilst providing amazing performance. They are durable, corrosion-free and weather-resistant and can withstand exposure to the harsh NZ UV, wind, rain, and splashing pool water. They are IPX4 rated. Two sizes and two colours are available, to suit a variety of spaces and landscape designs. 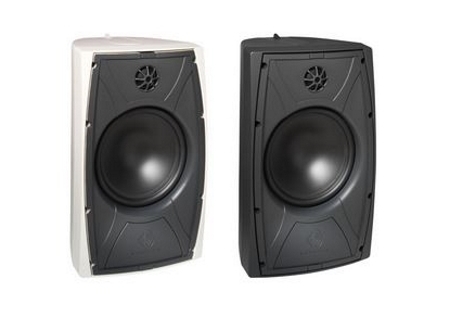 A Rock subwoofer is also available for increased bass response. These speakers are designed to be attached to a solid structure and come with a precision FastMount bracket which provides up to 180° of pivot and securely locks the speaker into place. Water impermeable drivers and sealed polypropylene enclosure ensure consistent, trouble-free performance. They are available in a range of sizes (small/medium/large), black or white and two performance levels for each size option. The Extreme range is engineered to handle extreme temperature and humidity conditions ranging from -34°C to +79°C while still maintaining superior SONANCE sound quality. They are shock resistant and can withstand the harsh salty conditions of coastal locations and the high seas, making them an excellent choice for marine applications. A powder-coated marine-grade stainless steel grille avoids corrosion. Materials such as polyurethane, polypropylene and graphite are used in the construction of the speaker to provide durability and high quality sound. Contact iPower now to see how we can help you plan and install an audio solution for your outdoor area so you can start enjoying music the way it’s meant to be heard.